When deciding on a locksmith, some considerations that come to mind are experience, excellence, and versatility. We are Pros On Call and our 24-hour locksmiths in Westlake, Texas offer all three, and much more, every day all day. It doesn’t matter if you are looking for service for your business, home, or car; we have the means to provide you with whatever you need. What’s more our lock services utilize the latest techniques and technology for ultimate security and peace of mind. As a part of the community, we are invested in maintaining the established standard of living. With a mobile locksmith service that provides prompt service with 30 minutes with licensed, bonded, and insured professionals and cutting edge equipment and technology, we are ready and able to do our part. First and foremost, you should always take some common sense measures for your security. Invest in timers for the lights on your property, to give the illusion that someone is always there. Maintain your home and yard, so passersby know it is occupied. Don’t neglect locks on windows and secure sliding doors with a solid bar or plank. Don’t hide keys in a clever outdoor location- burglars can be clever, too. And of course, always invest in top quality locks, professionally installed. It’s not a bad idea to at least know who your local locksmith is. Now, let’s learn more about our complete range of locksmith services in Westlake. When you hear the words emergency locksmith, usually the first thing that comes to mind is a lockout. Maybe you can see the keys in the ignition of your locked car at the Dallas/Fort Worth International Airport, or you can picture your keys on the dining room table. Most important, we are a 24-hour locksmith company in Westlake Texas, which means we are nearby and available any time and any day of the year. We arrive within 30 minutes of a call for help and there are no pricing surprises. Perhaps the most common automotive locksmith service performed is a lockout. We can unlock the door or trunk of any model vehicle quickly and efficiently but offer much more. Your business is your lifeblood. It is important to make sure it is secure and safe. We have a full range of commercial locksmith services. When it comes to installation and upkeep/repair, we can handle any task. When it comes to home and family, Pros On Call take our responsibility to help you maintain your security seriously. 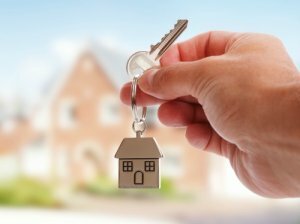 We provide residential locksmith services that can cover all of your property, from the largest to the smallest detail. 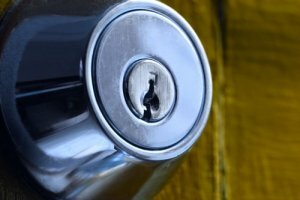 Locks are our business, and we utilize the finest brands in the business, including Schlage, Aztec Security Products, Corbin Russwin, and more. What’s more our lock services utilize the latest techniques and technology a for ultimate security and peace of mind. 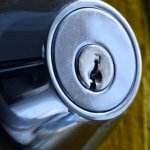 24-Hour Locksmiths In Westlake TX https://prosoncall.com/texas-locksmith/austin/westlake/ 4.0/5 based upon 14 reviews.